While visiting milder parts of the country or passing a sheltered inner city garden during February and March, you’ll occasionally come across a filigree-leaved tree covered in a haze of bright yellow bobbly blossom. 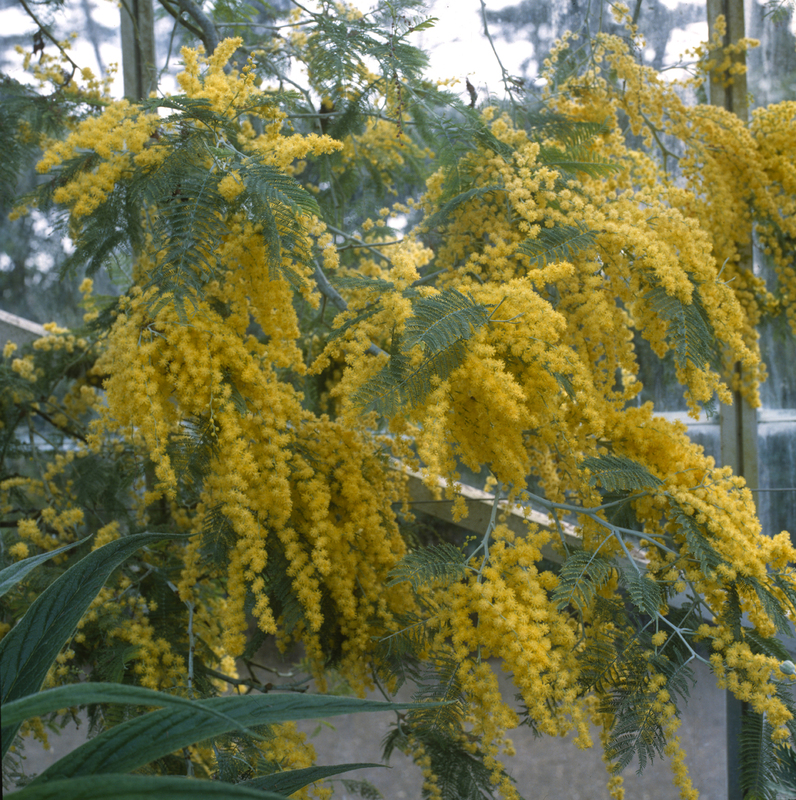 These breathtaking encounters usually reveal themselves to be Acacia dealbata or Acacia baileyana. These distinctive Australian plants vary in size from lofty trees to dwarf shrubs. If the winter has been kind – as we’ve experienced this year – they can come into bloom as early as the end of January; a harsh winter will hold blooms off until well into March. Most are too tender for the UK, but those from cooler climes can be tried outdoors or easily grown in pots, placed outside for summer or grown in a cool conservatory. All produce displays of bobble-headed flowers, from white to yellow, which are often sweetly scented and make spectacular spring displays.